The Same Moon has been published by TouchPoint Press and now is available in paperback and ebook on Amazon, Barnes & Noble and more! 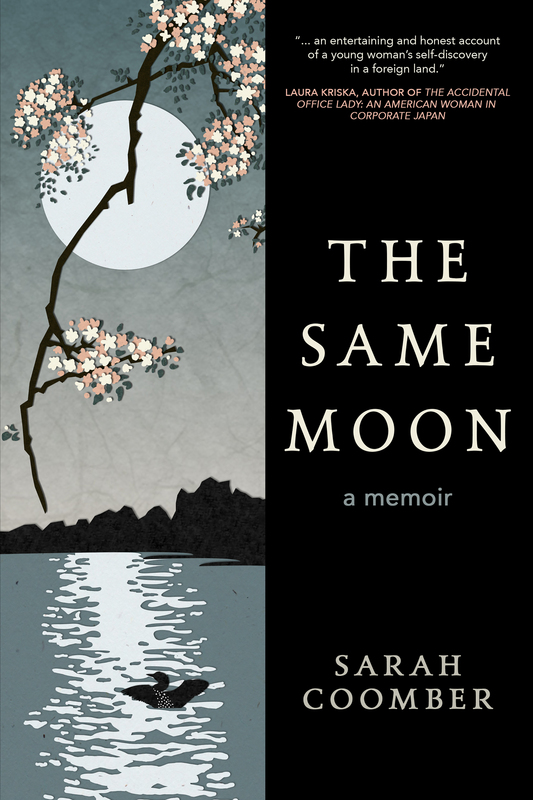 Seeking solitude, a young American divorcee runs off to rural Japan … where she finds a controversial romance, cross-cultural challenges and new purpose for her life. Sometimes you have to run far, far away to find your way home. For more information about The Same Moon, please click here to visit my Same Moon page. For my most recent writing, please visit my blog. Sometimes a small leap of faith can reorient an entire life. This is a story of how love finds us again and again — and often not in the places, people or ways we expect. They say politics makes strange bedfellows, and I would add that loneliness does too. It leads some of us to play music … and join unlikely communities. This essay on visiting Japanese elementary schools is part of my book-length memoir about two years I spent in rural Japan. I never imagined how a dinosaur could touch me until I joined a group of bone hunters on a South Dakota hillside. I thought fireflies were fireflies … until I encountered them in Yamaguchi, Japan.